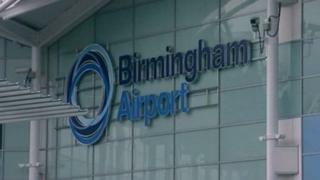 A boy, 15, has been charged with a terror offence following his arrest at Birmingham Airport. The teenager - who is from the city and cannot be named for legal reasons - has been charged with one count of preparing for terrorist acts. Police said the boy was detained at the airport where he was preparing to travel on 12 June after his family reported him missing. He is due to appear before Birmingham Youth Court on 27 November.